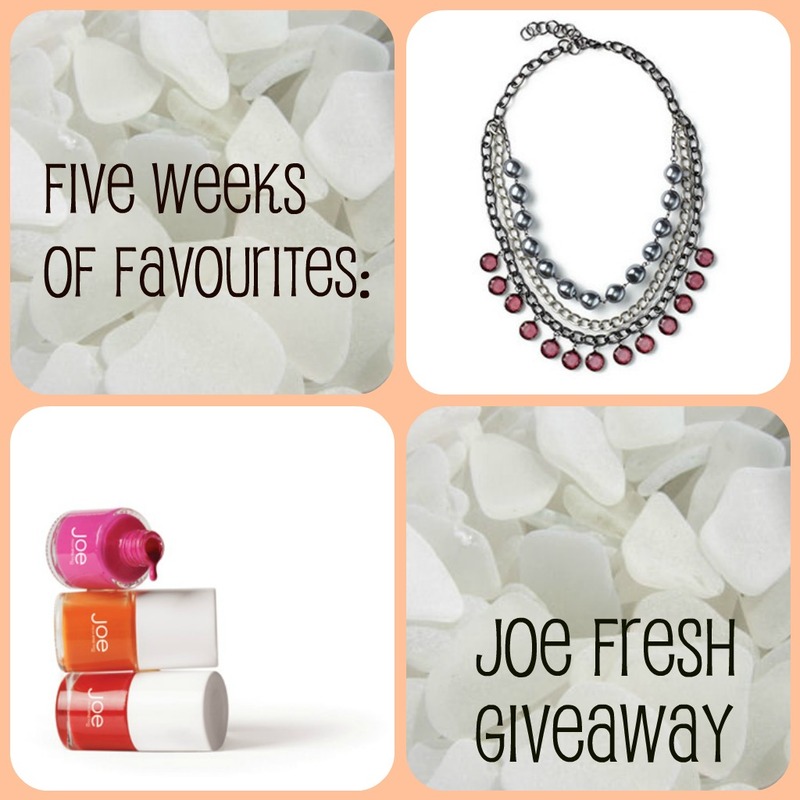 In this week's edition of the Five Weeks of Favourites, I am giving away a Joe Fresh surprise package rather than a gift card, since I'd like to keep it open to everyone instead of just the lucky ladies in Canada (or a select few in NYC or New Jersey). I'll be filling a box with goodies and sending it your way. Some things you might find inside include - accessories, jewelry, beauty products and more! Yup, pretty exciting stuff. Now the most important part - how to enter? Make sure you leave a way for me to contact you if I can't via your blog - email, twitter handle, as long as I can reach you to tell you you've won - it works! This giveaway will be open until 5:00 pm EST on Tuesday, November 1st. Make sure to get your entries in before then! P.S. Congrats to the lovely Joanna of ModaMama on winning the ShopRuche giveaway! Hi there beautiful becca! You should know I am now a "follower" of your's -- not just because I love to win stuff, but because I LOVE YOU! 1. followed via friend connect, though no idea what it does!!! or how to use it!!! 3. Med/Large, so err on the side of caution and say large? I also follow you on twitter! (Best way to reach me as well, @melissadominic) and liked the fb page! Favourite fall colour? Hmm, I'm thinking shades of worn leather brown. & I wear a small. Ahhhh! So excited for this giveaway. Love Joe Fresh. My favourite fall colour is burgundy and my shirt size is S.
I "like" lot 65 on Facebook. Love this! I follow your blog of Google Friend connect. For fall I love anything jewel toned! I am definitely an XL at Joe. I already like your FB page and follow you on Twitter! My favourite fall colour is red. My shirt size is medium. My fav fall colour is gold! For a top, I need a L size. Following on twitter (@Fisigiawa) and FB (Ana Belén R M).